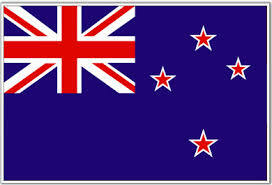 The shipping charges on our site do not include the duty and tax due on goods shipped to New Zealand. The import duty and taxes due are calculated on the value of your parts only and do not include any shipping or insurance charges. However, all goods brought into the country are also subject to additional taxes and fees such as sales tax (GST), Import Entry Transaction Fee, and Inward Cargo Transaction Fee. GST is levied on all products at a standard rate of 15% calculated on the sum of your parts order, the cost of insurance and freight, plus any applicable duty. Duty, GST and other import fees are only charged when the sum of duty and GST amount to NZ$ 60 and above. An import entry transaction fee of NZ$38.07 (GST inclusive) is payable on every import entry clearance and import declaration for goods. An inward cargo transaction fee of NZ$30.66 (GST inclusive) is payable on every electronic cargo information declaration (ECI) for goods imported by air. An inward cargo transaction fee of NZ$359.82 (GST inclusive) is payable on every electronic cargo information declaration (ECI) for goods imported by sea.